PamFax is an Internet-based service that lets you quickly and easily take a document from any of multiple sources and fax the document to any fax number worldwide. Fundamentally, if you have access to an Internet browser, a Windows or Mac PC, or any of several mobile devices, PamFax turns your fax activity into a totally ad hoc, pay-as-you-go service; your smartphone or PC become all you need for handling fax activity. 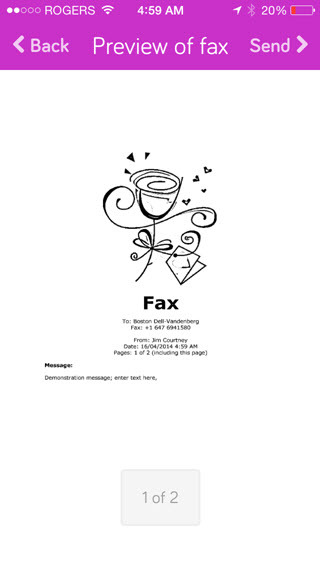 PamFax is the ideal fax solution in these times when fax usage has declined in general. But when it’s needed it’s there on demand, especially for those businesses that still rely on fax for critical communications activities. PamFax not only replaces the overhead of a fax machine and fax phone line but also allows you to perform and manage your fax activity from any PC, smartphone or or tablet (iPad, Android, BlackBerry 10, Windows Phone) with an Internet connection. And the documents are selected not only from your local scanner or PC applications, but also from online file sharing services such as Dropbox, Boxnet, OneDrive and Google Drive. 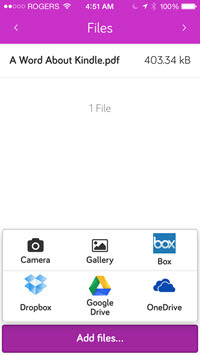 On mobile devices documents can be selected from a camera (front or rear) or any locally stored files as well. PamFax is the ideal “hard copy” document communications service for both the home or small business office and road warriors. Securely send and receive fax documents in real time at any hotel, airport or coffee shop with Internet access. In fact, it can be used as a road warrior’s printer by “printing” a document to your local hotel’s fax number. Registration of a PamFax account is free and includes three free “test” pages and, where available, a one month trial subscription to an inbound PamFax number. While PamFax offers a Pay-As-You-Go plan as a basic obligation-free service with no monthly payments to maintain an account, PamFax also offers annual subscription plans (that include an inbound PamFax number) and PamFax Credit packs that can reduce your ongoing costs per page. There is no credit card required at registration; payments are made via secure third party services such as PayPal. The PamFax wizard is the user interface to PamFax’s operation. But an Internet-based service also needs a responsive and secure back end. Over the past couple of years the PamFax backend was updated to deliver faxes almost immediately after hitting the Send Fax button. Other issues addressed have been robustness, scalability, mirroring and overall reliability; the PamFax supporting infrastructure has evolved into a very mature back end, ready to deliver faxes to over 250 countries worldwide within minutes of sending them. 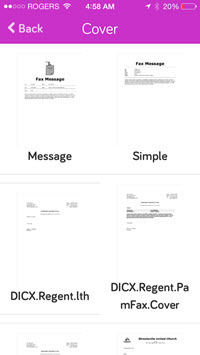 Sending Faxes: PamFax is totally ad hoc; send faxes on demand from a PC, iPhone, iPad, Android phone or tablet, a BlackBerry 10 phone or Windows Phone at PamFax Pay-as-You-Go rates starting at €0.09/$0.14 per page. Per page cost varies by destination country and PamFax Credit Pack purchased. No fax machine, no fax phone line required; no ongoing monthly payments or obligations to maintain your account. Sign up here and get send your first three faxes free; more details under “Sending Faxes” below. 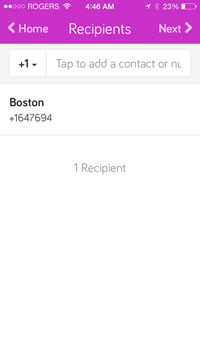 No charge for sending a document from PamFax to another PamFax number. A Basic PamFax Plan provides a local fax number, in one of 31 countries, for just over $5.00 per month. the PamFax Pro Plan includes 20 outbound faxes per month and a Control Panel for administering PamFax across a business operation. At a cost under $9.00 per month and including 20 faxes along with a company administration feature, PamFax certainly undercuts the costs of a landline phone line and the associated long distance charges. Receive an unlimited number of faxes at no charge beyond the Plan price. Check out “Receiving Faxes” below for more details; click here to sign up to a PamFax plan. “print” a document from within a Windows application using PamFax as the Windows printer. The PamFax wizard is available on almost every major desktop (Windows, MacOS/X,Linux) and mobile platform, including the iPhone, iPad, Android phones and tablets, BlackBerry 10 Phones (including Passport and Classic), Amazon Fire tablets and Windows Phone 8 phones. 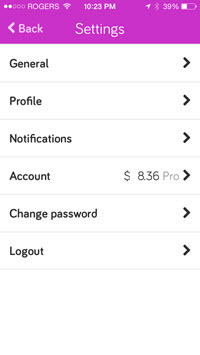 Simply click here to download for the PC versions or go to the appropriate mobile app store, as indicated below, and install the appropriate application, set up an account and start faxing. Once you have created an account you can also send faxes directly from any PC-based web browser from within the PamFax web portal. PamFax 3.x, with its newly launched innovative and simplified user interface, is available for Windows XP/7/8 Desktop (PamFax 3.0), Windows 8 “Modern”, iOS 6/7/8, Android 4.0 or later, BlackBerry 10 and Windows Phone (PamFax 3.1 on mobile devices). 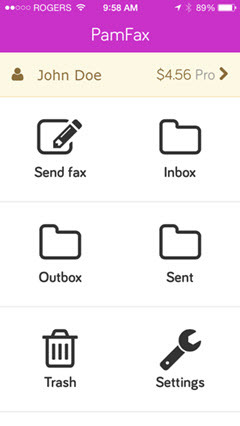 In addition to a new opening menu interface, PamFax 3.x includes the ability to preview faxes, access the Send and Receive fax archive directly within the application and manage your account settings, with the last two eliminating the need to go to the PamFax web portal. 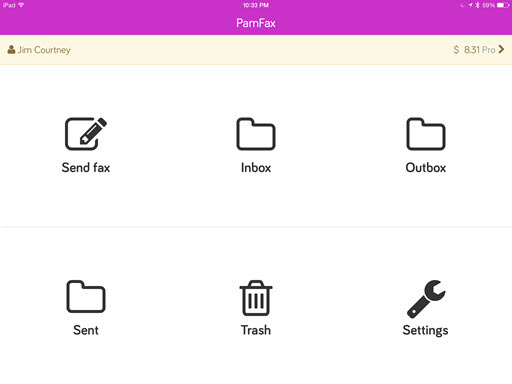 Update: PamFax 4.0 for Mac brings the user experience of PamFax 3.1 for mobile to PamFax on a Mac where access to sent and received faxes as well as managing your PamFax account are now incorporated within the application. PamFax 3.0 for Windows Desktop is fully integrated into Windows as a Printer and as a Windows Explorer context (right click) menu option. On installing PamFax 3.0 you can “PamFax” directly from Microsoft Word and Excel; there is also an Outlook plugin for faxing an email,, an email attachment or an email along with an attachment. Finally PamFax 3.0 for Windows also provides an option to schedule the time for sending a fax. Costs start at €0.11 (~$US0.10) per page and vary by destination country. Costs are lowered through the purchase of PamFax Credit Packs. Once you have created a PamFax account, all PamFax activities can be managed via a personalized PamFax Portal, or, where PamFax 3.0/3.1/4.0 is available, via the Settings option in the application. On the portal is a Dashboard with a fax log, user account settings, access to purchase PamFax Credit Packs and fax number subscriptions and the PamFax Company Manager. 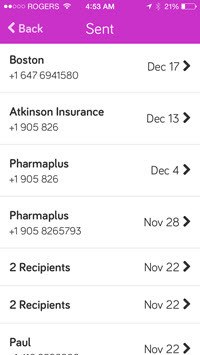 In the PamFax 3.0/3.1/4.0 application the Settings menu manages user profile, notification settings, language, currency, updates and, with the exception of PamFax for iOS, access to purchase PamFax Credits or a PamFax plan. From the web portal Dashboard, you can send faxes using the web application, retrieve faxes for viewing; basically it’s a readily accessible record of all your PamFax activity, including logs. Unique to the web Portal is access to the PamFax Company Manager which allows you to add/remove users, assign PamFax credits and track fax usage across a business or enterprise. Note that with the Basic plan, fax logs are archived for 30 days; with the PamFax Pro plan, fax logs are archived permanently. PamFax 3.1 for iOS, Android, BlackBerry 10 and Windows Phone allows you to send faxes directly from these smart devices, including documents stored on the device as well as documents from online file sharing services such as Dropbox, device file, online document, and Box.. 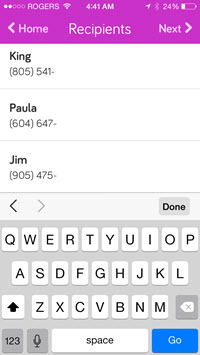 If you have an inbound PamFax number, you can view your Sent and Received faxes within the application or in a designated Dropbox, Box, OneDrive or File Manager applications on these devices. The latter feature makes them accessible on the cloud and, thus, on other platforms. These applications are also linked into the device’s Contacts application for assigning the destination fax number. 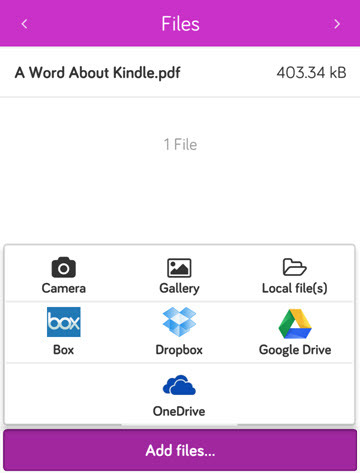 The iPhone, iPad, Android and BlackBerry 10 applications will even fax a black and white version of your photos in either your photo gallery or directly from the camera. 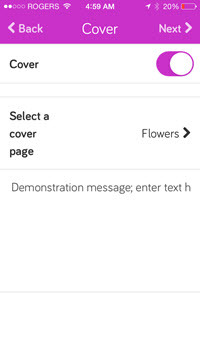 One more feature of PamFax 3.1 on mobile version is that you can tap on the fax image in the Inbox, Sent and preview to immediately view the fax without needing to save the file and opening, say, Adobe Reader. On Android this process is not quite as easy, the file is downloaded, then you need to find it in the pull down history bar and open it in a browser. Since its launch in late 2007, Voice On The Web has covered the evolution of PamFax from its beginnings as a Send Only service on Windows to its current state of being a complete Send/Receive service on multiple platforms involving documents created and stored on a PC as well as those stored in an online file sharing service. Click here to access our many posts about PamFax. Full disclosure: The third party mobile app developer and the marketing agency became clients of the author in the course of the development of the mobile versions of PamFax 3.0. The entire mobile development project arose as a result of the author’s attendance at a session on BlackBerry application development at BlackBerry Live in May, 2013 and his encouragement to have PamFax move from an Android port to a native BlackBerry application to take full advantage of links into BlackBerry 10 features. This could only be justified, however, by developing a new simplified user interface for all three platforms using the PhoneGap developer tool. On the other hand the author has been a non-compensated beta tester of various versions of PamFax since its launch in late 2007. There are affiliate links in this post but they only apply if the reader downloads the Windows version of PamFax 3.0 or Mac OS/X version of PamFax 4.0. 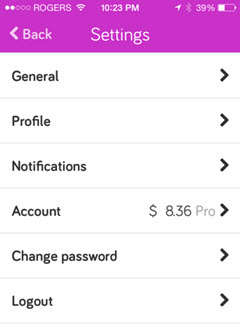 Affiliate links for the mobile applications have not been made available. Founded in 2006, privately held Pam Consult is a developer and publisher of communications utility software and web-based utilities for business, including the widely popular Skype utility Pamela, which complements Skype with call recording, personalization and call-management features for millions of users worldwide. Beyond publishing and developing software, PamConsult also provides a full range of customer-management and support services and recently launched PamBill to provide invoice-generation, customer-management and reporting capabilities for the Jimdo website-creation and –builder offering. Installation Comments: When installing you will be asked to agree with the license.